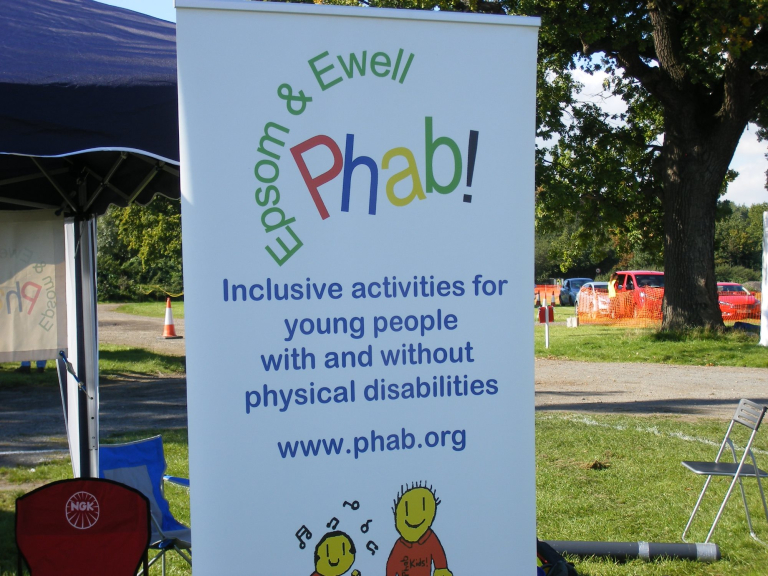 Epsom & Ewell Phab is an inclusive youth club for young people aged 8 to 16 years with or without disabilities. Epsom & Ewell Phab is entirely self-funding. They rely heavily on successful application for grants in the past these have included Surrey County Council, Youth Opportunity Fund and Epsom & Ewell Borough Council. We have received donations from British Telecom, British Airways & Conoco Philips. Epsom and Ewell Phab like to go on outings whenever they can. The sort of things we have done recently include Guilfest, Legally Blonde, water sports and some fantastic visits to Ice Skating and Ten Pin Bowling - which were sponsored by Ewell Rotary Club. Sometimes they have special events take place on Club evenings and have disco's and Karaoke at Christmas, a spook night and celebrate special days like Children in Need and Red Nose Day. We often have an open evening, to show our club to friends and family. They also meet regularly at Nescot in Ewell. They also take part in many local community events and it was great to see them at the recent Epsom Family Fun Day.